88 Fortunes Online Slot – 88 Max Bet Spins May Bring Grand Jackpot of up to 200K! 88 Fortunes online slot from SG Interactive furnishes 243 ways to win from bets using the number 88 and its multiples. Apparently inspired by Chinese traditional symbols and objects believed to be bringers of good fortune, this Bally-developed slot offers players the chance to win any or all four (4) Jackpots at stake. The 88 Fortunes reel-icons come in two versions, the regular, and the Gold. Playing the game with one or more, or all Gold Symbols though requires staking additional coin credits. Yet the Gold Symbols are significant as reel elements. Spinning reels configured with golden images, gives 88 Fortunes slot players, a chance to activate the Fu Baby Jackpot Game. 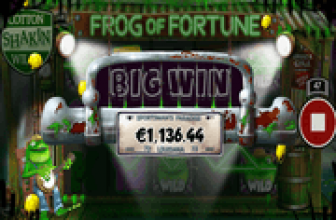 Entry to the Jackpot game is randomly triggered in the Free-Spins Bonus Game. This means players have to first activate the free round by aiming to land on a combination of the Free-Spins Bonus Symbols. During the free round, one or more Fu Baby Wild Symbol emerging as outcome/s of a bonus spin, may arbitrarily activate the Fu Baby Jackpot Game. Bally's Fu Baby Symbol is a tile bearing images of four (4) Chinese babies. Fu in Chinese means Good Fortune, which aptly describes the potential winnings that the symbol may bring. First off, it serves as the Wild Symbol of the game and emerges only in Reels 2, 3, and 4 only. The Fu Baby Wild can create, complete, or expand winning combination/s when appearing in adjacent reels along with identical symbols, whether Gold or Regular. Gold Gong icons emerging in adjacent reels as matched-symbol groupings of three or more, starting from the leftmost reel, trigger the launch of the Free-Spins Bonus Game. In addition to the cost-free spins awarded, the Gold Gong matched combos award Scatter Pays at 5x, 10x, or up to 50x the Total Bet staked on the triggering spin. Scatter Wins are awarded based on the number of Gold Gong symbols comprising a combination. When Playing the game with the 88.00 Max Bet, Gold Gong Scatter Rewards are equivalent to 440.00, 880.00, 4,400.00, correspondingly. 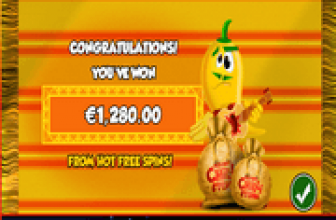 Any winning combination of the Gold Gong Scatter awards ten (10) bet-free spins. The bonus spins are played on reels configured with only the top-paying regular and Gold symbols. This denotes that the lesser paying A, K, Q, J, 10 and 9 icons will not emerge as outcomes of any bonus spin. During the free round, the Fu Baby Wild Symbol remains active to help players create, complete, and/or expand winning identical symbol-combinations. Yet it takes only one Fu Baby Wild Symbol, for the game to activate arbitrarily, the Fu Baby Jackpot segment. Playing the game with Gold Symbols, and the emergence of at least one (1) Fu Baby Wild, qualifies the slot play to a possible random activation of the Fu Baby Jackpot Game. A new panel presents players with twelve (12) Gold Coins to pick and click, in order to reveal one of four (4) Fu Baby images. Once three (3) Fu Baby images make a match, the Fu Baby Bonus Game ends, and the corresponding Jackpot Money awarded. 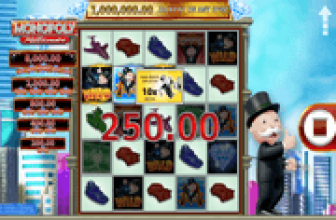 88 Fortunes - Amazing Bonus Reels Configured w/ High-Paying Symbols Only + a Jackpot Bonus Game! 88 Fortunes online slot is a Bally Technologies original currently deployed to online casinos by SG Interactive. Featuring a Free Round played in reels configured with high-paying symbols only, the segment includes a randomly activated 4-Level Fu Baby Jackpot Bonus Feature awarding up to 200K as Grand Prize.